Open enrollment begins on November 1, 2018 and ends on December 15, 2018. United Way of Monroe County is working with the community to help residents locate, review, and renew affordable health care and health care coverage options. Having health insurance is an important way to avoid a financial crisis and, under the Affordable Care Act (ACA), all U.S. residents are required to have health care coverage. This might include insurance you have through your employer or through the Federal Health Insurance Marketplace, Medicare, Medicaid, Healthy Indiana Plan (HIP), Hoosier Healthwise, or Children's Health Insurance Program (CHIP). Not having health coverage can result in a federal tax penalty. Do you want to 'test drive' some options before registering? Explore the best plans available for your needs and your budget by visiting this Indiana Plan Explorer. Volunteers in Medicine is available for community members not eligible for any of these plans. Over the past several years, as part of the ACA Enrollment Committee's efforts to help people find the right health insurance coverage, United Way has worked to increase the Navigator capacity in Monroe County. These Navigators are state-certified citizens, trained to provide unbiased help enrolling residents in Marketplace coverage and state plans. To ensure everyone has an opportunity to speak with a Navigator about finding or renewing a plan, especially during the busiest enrollment times, United Way is working to host Navigators at outreach events throughout the community. Are you ready to enroll? Go to www.healthcare.gov to apply for coverage, see side-by-side comparisons of plans, and review prices. Then choose a plan that meets your medical needs and enroll. 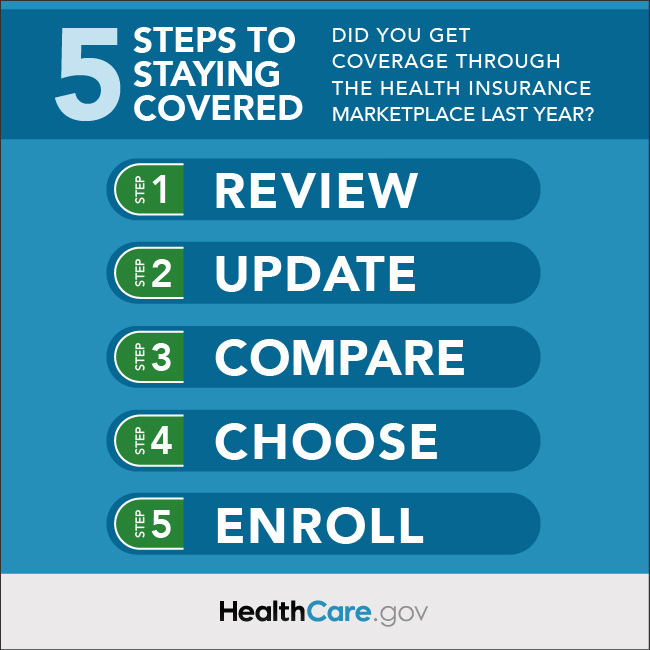 If you've had coverage through the Marketplace, take these steps to ensure you keep, or maybe improve, your plan for 2019. Call 1-800-318-2596, TTY: 1-855-889-4325 to start or finish an application, compare plans, enroll or ask a question. Remember, open enrollment begins on November 1, 2018 and ends on December 15, 2018. Interested in learning more about the Marketplace, health care coverage options, and the enrollment process? These resources can help answer your questions. United Way of Monroe County reminds you to take the time to check your plan for changes and updates prior to re-enrolling. Even if you are happy with your current plan, its availability may have changed. If your plan has changed, or if you need assistance with renewing enrollment, state-certified Navigators are available to help. Individual Solutions - IU Health: Call 1-888-531-3004 to make an appointment to see a certified Navigator or visit http://iuhealth.org/individual-solutions. ASPIN Health Navigators: Call 877-313-7215 for Navigator Assistance or visit http://www.aspinhealthnavigator.org/. SCCAP Covering Kids and Families: Call 812-339-3447 ext. 512 or ext. 511 for assistance or visit http://www.insccap.org/pages/hcap. Monroe County Health Department: Call or e-mail Scott Stowers, Certified Health Insurance Navigator, at (812) 349-2075 or sstowers@co.monroe.in.us. You can also dial 2-1-1 or visit www.in211.org/healthcare-project to learn how to apply, try a health insurance cost calculator, and get more local information. 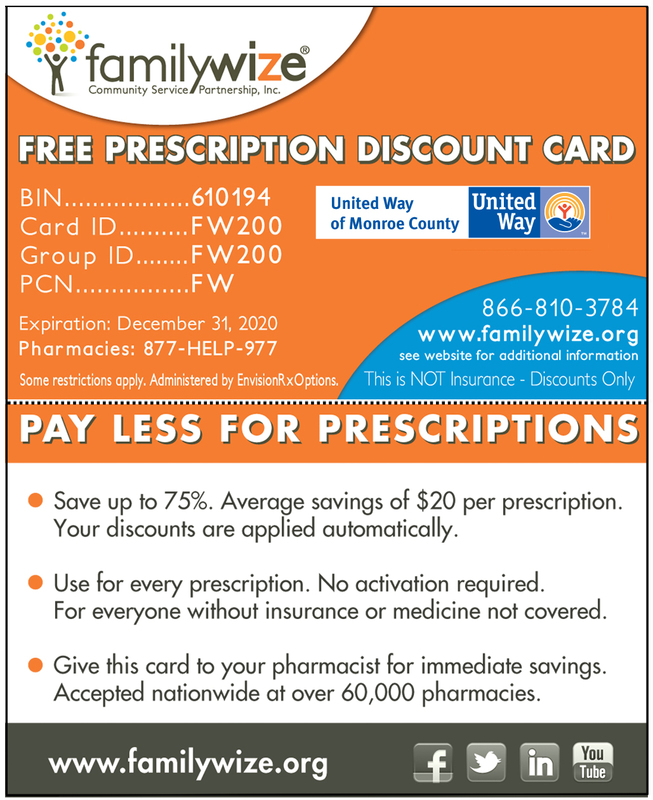 The FamilyWize Prescription Discount program, while not health care coverage, can reduce the cost of medicine for families and individuals with or without prescription drug coverage at participating local pharmacies. Follow this link for more information. The Indiana Medicaid program offers several ways to get coverage, including "Traditional Medicaid." There are programs for people who are low income, have a disability, are pregnant, or have special medical needs. To see if you are eligible for any Indiana Medicaid program, visit http://member.indianamedicaid.com/programs--benefits/medicaid-programs.aspx. HIP is for uninsured low-income Hoosiers between the ages of 19-64 who do not qualify for Medicaid or Medicare. To see if you may qualify or to learn more about HIP, visit www.in.gov/fssa/hip. Hoosier Healthwise is a health care program for low-income parents/caretakers, pregnant women, and children. To see if you may qualify or to learn more about Hoosier Healthwise visit http://member.indianamedicaid.com/programs--benefits/medicaid-programs/hoosier-healthwise.aspx. The Children's Health Insurance Plan (CHIP) is for youth 19 and younger. To see if your child may qualify or to learn more about CHIP visit http://www.in.gov/fssa/ompp/2545.htm. Medicare is a federal health insurance program for people 65 and older, and for eligible people who are under 65 and disabled. To see if you may qualify or to learn more about Medicare visit http://www.in.gov/idoi/2497.htm. Area 10 Agency on Aging has SHIP (State Health Insurance Assistance Program) Counselors who specialize in Medicare. Call 812-876-3383 or visit www.area10agency.org/ship. VIM, located in Bloomington, provides free primary care, dental, and mental health services; treatment for acute and chronic conditions; and preventive health education for uninsured adults in Monroe and Owen counties meeting eligibility criteria. To see if you may qualify or to learn more about VIM visit http://vimmonroecounty.org/services.php. The ACA Enrollment Committee works to ensure everyone in our area has access to quality, affordable health coverage that works for them and their family. The committee includes representatives from United Way of Monroe County, the Monroe County Health Department, the City of Bloomington, IU Health Bloomington Hospital, insurance agencies, the South Central Community Action Program, and other community groups. Want to learn more about the other building blocks for a good life? Visit Education and Earnings to see how we are making an impact.